Mumbai, India (BBN) – The Indian benchmark BSE Sensex was trading higher by over 150 points as the Federal Reserve, as expected, raised the benchmark interest rate by a quarter percentage point, but gave a more dovish outlook for future hikes. The sigh of relief was heard across Asia as investors had feared faster US hikes and more political upheaval in Europe could spook funds out of emerging markets, reports The Hindu Business Line. According to traders, a flood of foreign capital in domestic bourses gave a push to equities. 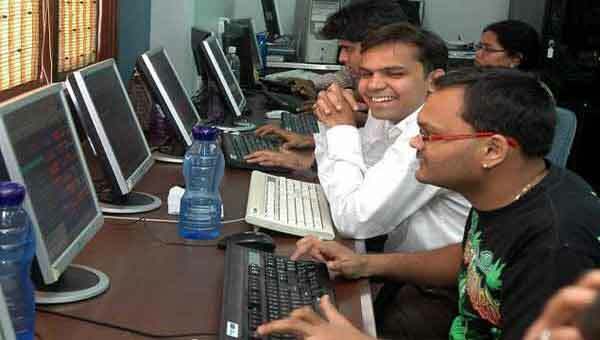 At 11.05am, the 30-share BSE index Sensex was up 153.27 points or 0.52 per cent at 29,551.38 and the 50-share NSE index Nifty was up 57.65 points or 0.63 per cent at 9,142.45. The 30-share index surged 206.40 points or 0.70 per cent to 29,604.51. The gauge had shed 44.52 points in the previous session. The NSE index Nifty rallied 68.10 points or 0.74 per cent to trade at an all-time intra-day high of 9,152.90, breaching its previous record of 9,122.75 (intra-day) touched on Tuesday.